The last thing that you want to do is get a phone call in the early hours of the morning letting you know that the facility you manage had a catastrophic explosion. The building is destroyed, there are casualties and the surrounding community has been affected. In order to help you avoid a catastrophic situation, it is important to understand chemical storage groups, store requirements and the 10 best practices for chemical storage. Flammables and Combustibles - Includes liquids with flash points < 100°F. Primary Storage Concern: Protect flammable liquids from ignition. Acceptable Storage Facilities/Methods: Store in a flammable cabinet or a flammable-storage refrigerator/freezer. Compatible Storage Groups: Flammables may be with either Group 2: Volatile Poisons, or Group 5: Liquid Bases, but not with both. Volatile Poisons - Includes poisons, toxics, and select and suspected carcinogens with strong odor or an evaporation rate greater than 1 (butyl acetate = 1). Primary Storage Concern: Prevent volatile poison inhalation exposures. Acceptable Storage Facilities/Methods: Store in a flammable cabinet or containers of less than one liter in a refrigerator. Compatible Storage Groups: Volatile poisons may be stored with flammables if bases are not present. Oxidizing Acids - All oxidizing acids are highly reactive with most substances and each other. Primary Storage Concern: Prevent contact and reaction between oxidizing acids and other substances and prevent corrosive action on surfaces. Acceptable Storage Facilities/Methods: Store in a safety cabinet. Each oxidizing acid must be double-contained (i.e., the primary container must be kept inside a canister, tray or tub). Compatible Storage Groups: Oxidizing acids must be double-contained and should be segregated in their own compartment in a safety cabinet. When quantities are small (e.g., 1 or 2 bottles) they do not warrant a separate compartment. Small quantities may be double-contained and stored with Group 4: Organic and Mineral Acids. Store oxidizing acids on the bottom shelf, below Group 4. Organic and Mineral Acids - Organic and mineral acids. Primary Storage Concern: Prevent contact and reaction with bases and oxidizing acids and prevent corrosive action on surfaces. Acceptable Storage Facilities/Methods: Store in a safety cabinet. Exceptions: Acetic anhydride and trichloroacetic anhydride are corrosive. These acids are very reactive with other acids and should not be stored in this group. It is better to store them with organic compounds in Group 7: Non-Volatile Liquid Poisons. See Section 12.9, Reactives. Liquid Bases - Liquid bases. Primary Storage Concern: Prevent contact and reaction with acids. Acceptable Storage Facilities/Methods: Store in a safety cabinet or in tubs or trays in normal cabinet. Compatible Storage Groups: Liquid bases may be stored with flammables in the flammable cabinet if volatile poisons are not stored there. Liquid Oxidizers - Oxidizing liquids react with everything, potentially causing explosions or corrosion of surfaces. Primary Storage Concern: Isolate liquid oxidizers from other substances. Acceptable Storage Facilities/Methods: Total quantities exceeding three liters must be kept in a cabinet housing no other chemicals. Smaller quantities must be double-contained when stored near other chemicals (e.g., in a refrigerator). Compatible Storage Groups: There are no compatible storage groups for liquid oxidizers; store liquid oxidizers separately from other chemicals. Non-Volatile Poisons - Includes highly toxic (LD50 oral rat < 50 mg/kg) and toxic chemicals (LD50 oral rat < 500 mg/kg), select carcinogens, suspected carcinogens, and mutagens. Primary Storage Concern: Prevent contact and reaction between non-volatile liquid poisons and other substances. Acceptable Storage Facilities/Methods: Store in a cabinet or refrigerator (i.e., non-volatile liquid poisons must be enclosed). Do not store on open shelves in the lab or cold room. Liquid poisons in containers larger than one liter must be stored below bench level on shelves closest to the floor. Smaller containers of liquid poison can be stored above bench level only if behind sliding (non-swinging) doors. Compatible Storage Group: Store non-volatile liquid poisons with non-hazardous liquids (e.g., buffer solutions). Exceptions: Anhydrides (e.g., acetic and trichloroacetic) are organic acids; however, it is better to store them with this group, since they are highly reactive with other acids. Metal Hydrides - Most metal hydrides react violently with water, some ignite spontaneously in air (pyrophoric). Primary Storage Concern: Prevent contact and reaction with liquids and, in some cases, air. Acceptable Storage Facilities/Methods: Store using secure, waterproof double-containment according to label instructions. Isolate from other storage groups. Compatible Storage Groups: If securely double-contained to prevent contact with water or air, metal hydrides may be stored in the same area as Group 9: Dry Solids. Dry Solids - Includes all powders, hazardous and non-hazardous. Primary Storage Concern: Prevent contact and potential reaction with liquids. Warning labels on highly toxic powders should be inspected and highlighted or amended to stand out against less toxic substances in this group. It is particularly important to keep liquid poisons below cyanide-containing or sulfide-containing poisons (solids); a spill of aqueous liquid onto cyanide-containing or sulfide-containing poisons would cause a reaction that would release poisonous gas. Compatible Storage Groups: Metal hydrides, if properly double-contained, may be stored in the same area as dry solids. Exceptions: Solid picric or picric sulfonic acid can be stored with this group, but should be checked regularly for dryness. When completely dry, picric acid is explosive and may detonate upon shock or friction. 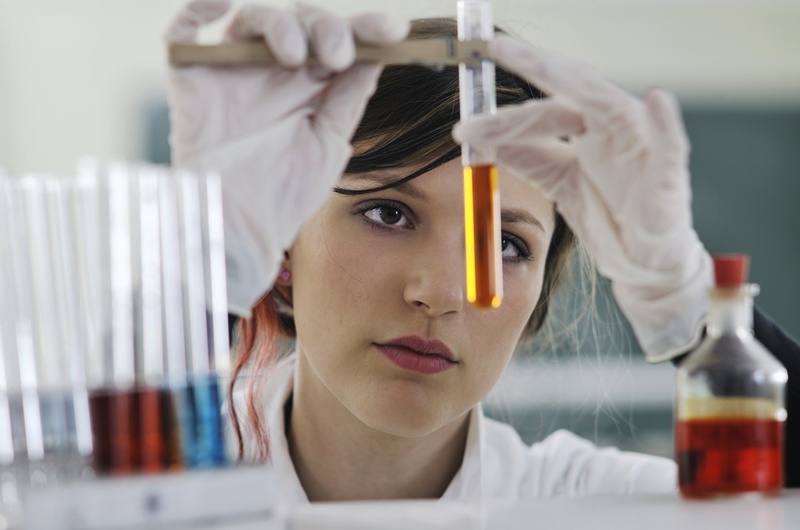 See EH&S' detailed chemical safety information on picric acid, which includes updated, detailed information on laboratory chemicals. Segregate – Ensure that all incompatible chemicals are stored separately and by hazard class codes. Store like chemicals together and away from other groups of chemicals that might cause reactions if mixed. Contain Liquids - Liquids should be stored in unbreakable or double-contained packaging, or alternatively in a storage cabinet that has the capacity to hold the contents if the container breaks. Avoid the floor – Chemicals should never be stored on the floor (even temporary). Keep It Eye Level – Chemicals should be stored no higher than eye level and never on the top shelf of a storage unit. Anchor’s Away -Shelf assemblies should be firmly secured to the walls. Avoid island shelves. Slow Your Roll - Each shelf should have an anti-roll lip. Label Properly – All chemicals should be labeled with Material Safety Data Sheets (MSDS) so that those working with or handling these substances are aware of the chemical properties. Labels should also contain expiration dates. Remove Expired Chemicals – Hidden away in cabinets and storage areas are expired chemicals. Big regulatory fines await if you do not remove these substances. It doesn’t have to be complicated, a workable plan and diligence on the part of management and employees can keep everyone safe. 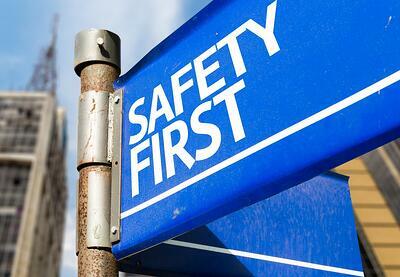 Ensure that those employees that handle hazardous chemicals are well trained and supervised. 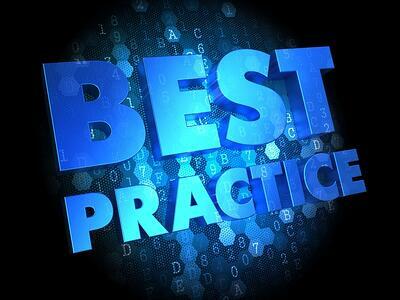 Follow these best practices and everyone will be safe.